It wasn’t so long ago that analysts and industry insiders were speculating that Baytex Energy Corp. (TSX:BTE)(NYSE:BTE) would not survive the prolonged slump in crude. Nonetheless, the rebound in crude, which now sees the North American benchmark, West Texas Intermediate, or WTI, trading at close to US$55 per barrel, has been a boon for beaten-down energy companies such as Baytex. With Baytex down by almost 5% over the last month, it appears to be attractively priced and is shaping up as one the best levered plays on the recovery in crude. Among the greatest issues weighing on Baytex is its tremendous pile of debt, but it remains focused on reducing that debt to a manageable level. By the end of 2016, that debt was 11% lower compared to a year earlier to be $1.8 billion, and Baytex continues to focus on reducing it further. While this debt may be the biggest red-flag for investors, many are forgetting that the majority of that debt doesn’t fall due until after 2020. This gives Baytex plenty of time to focus on reducing that debt further, strengthen its balance sheet, and wait for oil prices to rebound. Importantly, the company expects to be free cash flow positive with WTI at US$55 per barrel. It is extremely likely that Baytex will be able to generate free cash flow for the remainder of 2017. Not only is WTI trading at US$54 a barrel, but a number of analysts and industry insiders expect to move as high as US$60 by the end of the year. Even if WTI remains below US$55 per barrel, it is likely that Baytex can generate some free cash flow because of its commitment to making further cost reductions on top of the marked decrease in operating and transportation costs that have already been achieved. What this means is that Baytex can steadily chisel away at that mountain of debt over the course of the year. Furthermore, the company’s premier Eagle Ford acreage, which is responsible for roughly half of its total oil production, has an extremely low breakeven cost of a mere US$30 per barrel. This means that Eagle Ford remains economic to operate even if oil prices fall once again, which is unlikely, and becomes extremely profitable if prices continue to rise. Baytex also took advantage of the depressed asset prices caused by the prolonged oil slump to purchase heavy oil assets in Alberta’s Peace River, more than doubling its land holding. This acquisition also added 3,000 barrels of daily oil production and 18 million barrels of crude to its reserves. It also significantly increased Baytex’s drilling inventory, giving it the ability to rapidly ramp-up growth in the future. The ability to grow production is particularly important, because Baytex slashed expenditures on drilling and development to the point where oil output was declining, and it was incapable of replacing production lost due to natural decline rate. This will all change in 2017. The company is funding its capital program entirely from funds flow from operations and has re-initiated drilling on its Canadian acreage, while allocating 70% of funding to its Eagle Ford acreage. Baytex expects 2017 production to grow between 3% and 4% when compared to 2016, boding well for even greater cash flow particularly as the price of crude recovers. It appears that the perception of risk surrounding Baytex is significantly overbaked. The fears regarding its huge pile of debt are overblown. Not only does the majority of debt mature after 2020, giving Baytex considerable breathing room, but it has been able to gradually pay that debt off despite the price of oil remaining sharply lower for longer than expected. Along with these reasons, Baytex is attractively priced, making it a solid play on the ongoing recovery in crude. But, despite coming public just last year, it’s already helping the likes of Budweiser... Tesla... Subway... and Red Bull move $9.9 BILLION (and counting) worth of goods online each year. And now it’s caught the eye of the legendary investor who got behind Amazon.com in 1997 -- just before it shot up over 23,000% and made investors like you and me rich beyond their wildest dreams. Click here to discover why this investor says it’s time to buy. 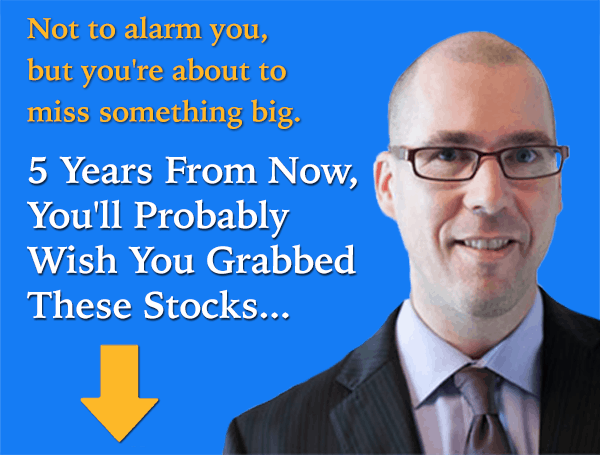 Fool contributor Matt Smith has no position in any stocks mentioned.